Pre-order CoD: Advanced Warfare, FIFA 15 or buy many other games with discounts right now! 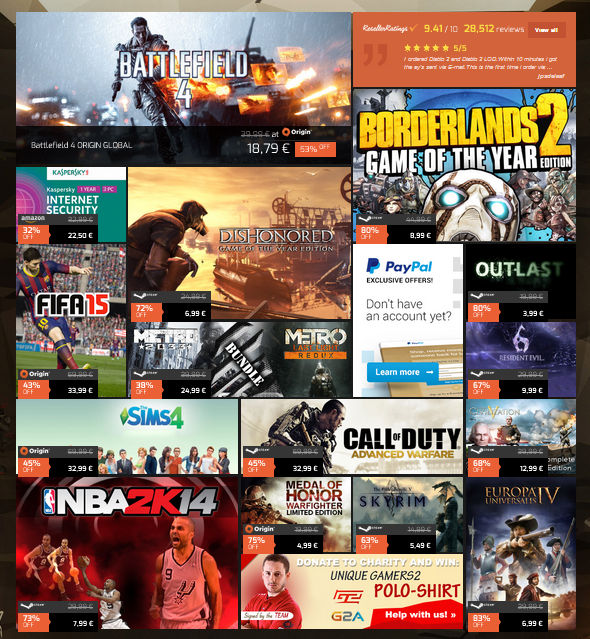 Today is Friday, and it means that the next G2A sale is already waiting for you. This time our partner has prepared even more exciting games with huge reductions, so be sure you will find at least one interesting for you. If you are a fan of Call of Duty series, then you have an exceptional chance to pre-order CoD: Advanced Warfare, having paid only €32,99. The upcoming The Sims 4 game can be pre-ordered at the same price, while Metro Redux, which will be released in a few days, will cost you only €24,99. And for those who eagerly anticipate for the next instalment in FIFA series, the employees of G2A offer to pre-order this exciting game for €33,99. This weekly sale begins today - on the 22nd of August, - and it will end on Monday - on the 25th of August. Don’t miss a really good chance to buy lots of cool games with nice reductions!